Thank you to TwinMedix, Lavish, EveryHue and Pulsaderm for these products in exchange for my honest review! Ladies, your winter skin and hair run-down is about to go down! I'm really excited to share with you my experiences with some amazing brands that you maybe have not yet been introduced to. These are high-quality skin and hair products that you need to add to your collection to keep your skin and hair looking fresh and vibrant no matter how dry the air is! 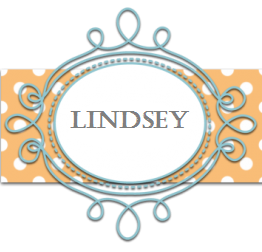 Stick with me for this review and be ready to click that "add to favorites" tab when you visit these websites. You'll want to remember them and not only grab some of these items for yourself, but for some ladies in your life you love as well. First, I want to say the thoughtful notes I received along with my products just starts my experience on such a pleasant note and I absolutely appreciate and love the attention to detail I was shown during this entire adventure! Thank you for providing me with these amazing products to review! This is Lavish Fresh Start and Lavish Evening Essence, created by Vikki Ziegler. She is an attorney, television personality, active volunteer for various charities and has a unique approach to helping couples manage the rough waters of divorce as well as pre-marital planning to help couples begin their lives together. Her multiple talents have led her to launch this new line of hair products which are sprays for your hair that deliver body and perfume. The scents are divine. What I also love about these products is how they add shine and humidity control to fly-aways. I have naturally curly hair that I often blow out and straighten with a flat iron. The shine and sleek appearance of my hair has recently gotten a few compliments that I wasn't expecting, but sweet to receive! Our next stop along our journey to more radiant looking skin and hair is a skincare line that will help your skin to look younger, fresher and vibrant! 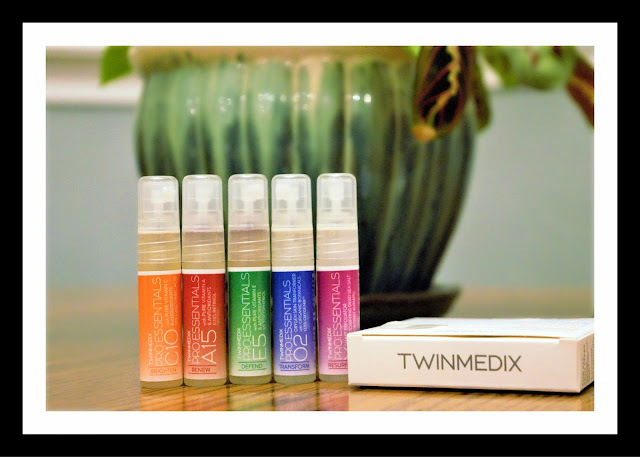 Thank you to Twinmedix for these skincare products that I'm able to use and share about with you! The two products pictured above are the Pro Essentials A15 and Pro Essentials 02. This line of skincare products is a new experience for me. Up until now, I had not dabbled in the science that goes behind experiencing younger, smoother looking skin. Each of these products are specially designed and formulated to increase the rate of cell turnover and renew your skin's youthful appearance all while being paraben-free, fragrance-free and cruelty-free. I had never used 0.15% retinol on my skin up until now and I wasn't sure what to expect. I will tell you that for a short time period, your skin may become red and if you aren't prepared for that, it may be concerning to you. I can assure you, this happened to me and I felt the same way at first. However, once the redness calmed down and the product began to work, my skin was really rejuvenated. It's normal for that to occur as your skin gets rid of old cells and reveals fresh, smooth skin. If you want to know more about each of these products, I would suggest trying the travel sized set to get a good feel of what each product can do for your skin. The set includes the pro essentials A15, 02 (which is like a burst of oxygen bubbles for your face! ), C10 (pure vitamin C), E5 (pure vitamin E), and X (exfoliating dead sea salt scrub). Thank you EVERYHUE for sending me this amazing set of beauty products. You'll often find me reviewing beauty products. There are some that I like and some that I love. I'm picky about which companies I choose to review and I use great discretion. I know that everyone is different and what works for me may not work for someone else in the same way. What I love, someone else may not love. That is definitely the reality, but I at least want all of you to know that I am choosy about what I review. Ok, now that we covered that, I can tell you that I love Everyhue! I've been enjoying the brush and blending sponge with all of my usual makeup products. In this picture, I am using a light tone of this Everyhue Tinted Moisturizer, mascara and some brow powder (neither of those two being the Everyhue brand). I have a light skin tone but this brand is about providing a product for every ethnicity and every skin tone. The only editing I used was a bit of lightening because the picture was a tad bit dark to use here. I tried to keep it as minimal as possible so that you can see that this moisturizer is surprisingly great at coverage. 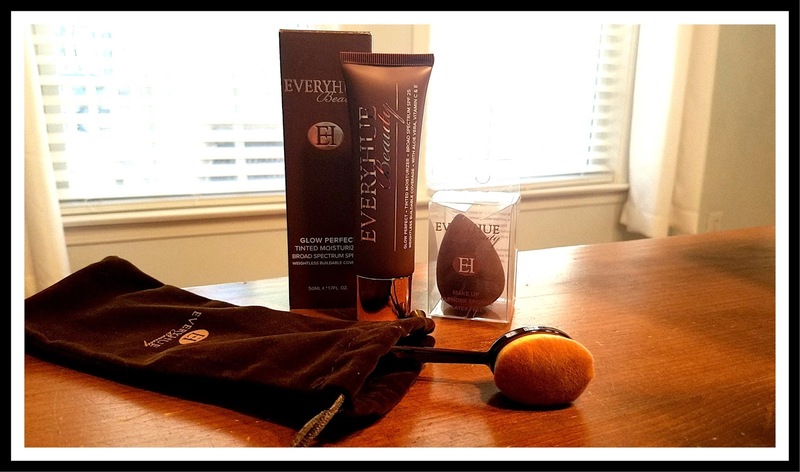 Check out the amazing group of ladies who have come together to build this versatile beauty line: The Everyhue Ladies. It feels light and soft on my skin. 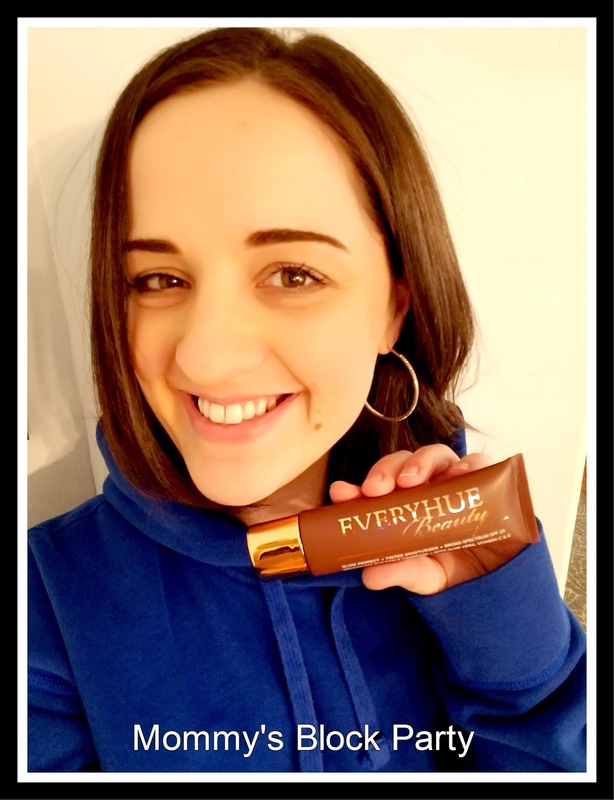 It has a satin finish and contains spf 25 (which I love to use year round). If you've never used a blending sponge or foundation brush, oh honey, it is TIME. Let's get on that.. like, now. I was introduced years ago and never looked back. There are MANY varieties of foundation brushes and I've been using a pretty decent, mid-grade brush set off Amazon for a while. I love my new Everyhue brush so much and am very excited to have such a high quality, soft bristled brush to caress my delicate, sensitive face (insert a quick eyelash bat and just laugh). 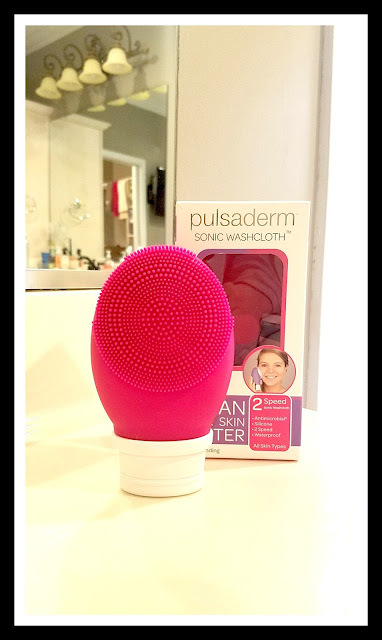 Thank you to Pulsaderm for this ultrasonic washcloth. The new ultrasonic washcloth uses hundreds of silicone nodules to gently wash away dirty from your skin and prevent buildup. The sonic pulse breaks away dirt, makeup and grime to leave your skin feeling fresh and clean! Well, ladies I have to say, I appreciate you taking this journey with me! I really hope you have found something you like or that someone you love may like. 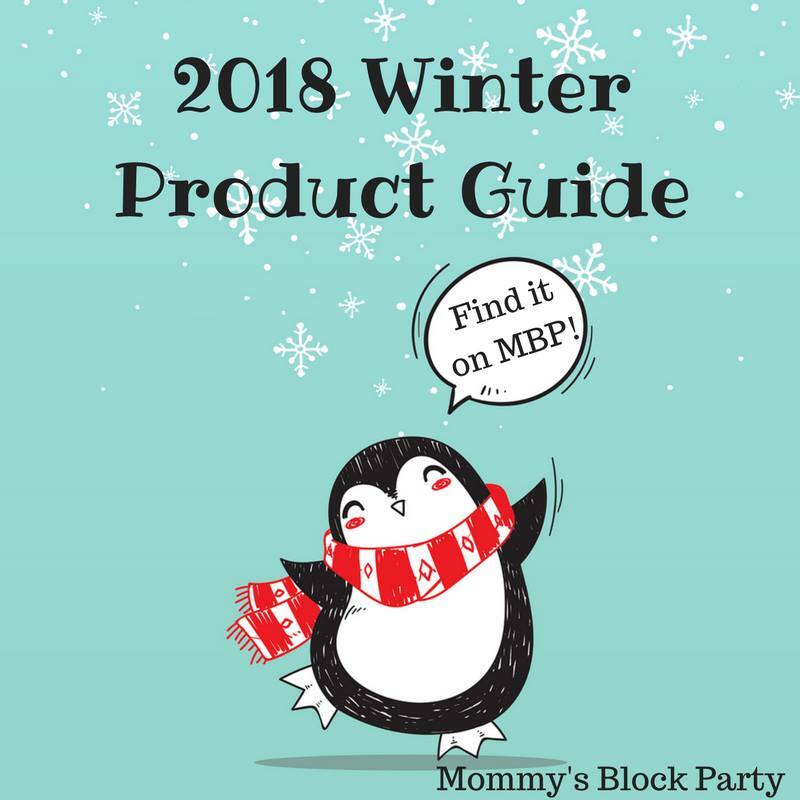 I've greatly enjoyed the opportunity to review these fabulous items for our winter gift guide and I hope you have enjoyed the ride!